Guess who is joining Fox’s Rocky Horror reboot? 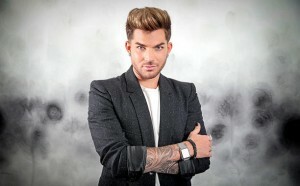 Our very own @adamlambert! “Because of course he is! Adam Lambert is joining Fox’s Rocky Horror Picture Show reboot. This will be great! But kind of hard to watch him get axed! LOL! The more I can see the happier I am. Can’t wait. But he should be Frank!!! I think he should be the lead as well, but we’ll take anything. I believe he sings one song and gets axed to death. I was hoping for more action in this role, but it’s a small one.